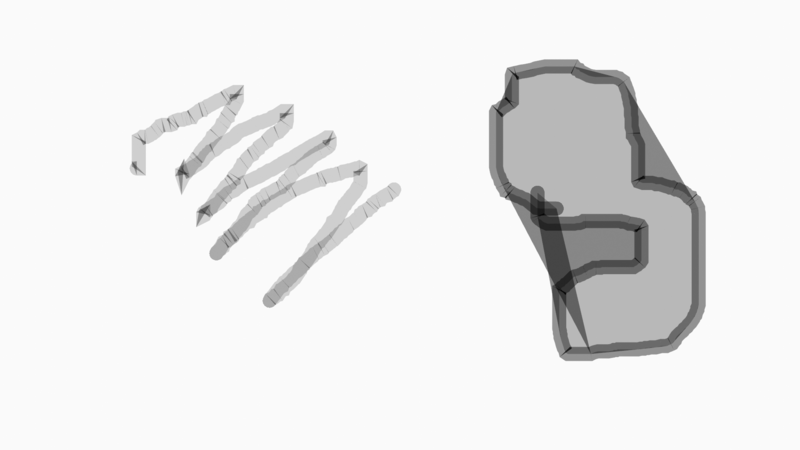 Draw a freehand zigzag stroke with the Draw Block Pencil. Set alpha to 0.5. At sharper parts of the line the individual "dots" of the stroke overlap this create some darker triangles perpendicular to the stroke direction. 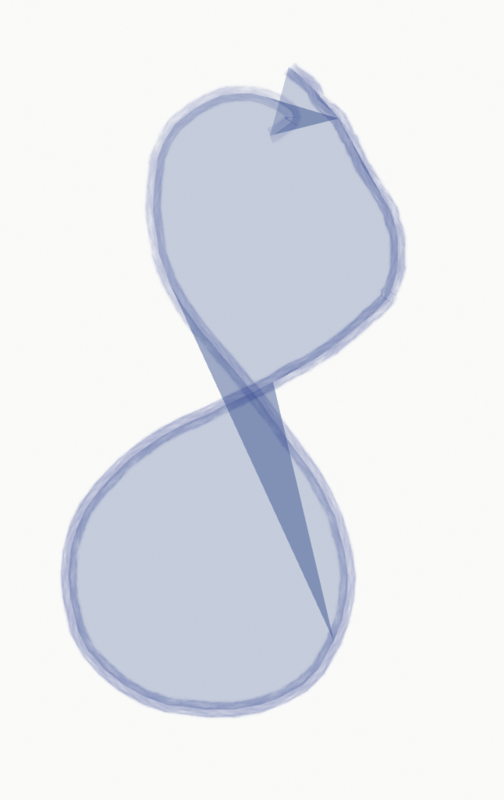 draw a closed shape with curvy lines. set fill alpha to 0.5. 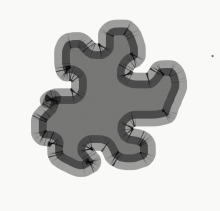 The fill overlaps concave parts of the outline sometimes. The fill overlaps somehow with itself, "folds" and creates darker lines inside the shape. Now set the material Fill to fully opaque and the Opacity of the Layer to 0.5, trying to make it look better.- No, the dark areas are back. The new Grease Pencil would be a very beautiful tool without this weird alpha behavior. Sebastian Parborg (zeddb) added subscribers: Antonio Vazquez (antoniov), Sebastian Parborg (zeddb). I think that this is a limitation because GP actually draws its geometry in 3D space. Perhaps we could do some smart tricks to remedy this. @Antonio Vazquez (antoniov) how is the situation in this regard? I just checked on another computer. At least it is not a problem of AMD graphic cards. Perhaps it could help to find a workaround for the time being if the Opacity Modifier also had the possibility to override the Opacity values of a whole object. It seems it multiplies a factor right now. Don't know if this helps at all, but this could be useful anyway for strokes drawn with a tablet if you want to override the Opacity with a constant value afterwards. Yes, this is a limitation of the current drawing method. We are looking for a solution, but it's not easy to fix without adding a lot of drawing overhead. @Antonio Vazquez (antoniov) perhaps we could add a rendered mode for GP too? That way we can keep the fast drawing that we have now but also have a much more costly mode with higher quality results. A slower solution could also be part of the smoothing option, available as a post-processing setting. So this is a known limitation that would be good to solve, but not considered a bug at this moment.